Wasting time trying to make progress when in fact you're only reversing your progress. Similar to unproductive. "This is so... insert word here"
Regressing is the word you're looking for, the noun is regression. An alternative is backsliding which is both a gerund and a noun. "This is so undermining the group's efforts" (despite best intentions). "This is so detrimental to the team spirit." "These measures actually erode public confidence in our policies instead of boosting it." 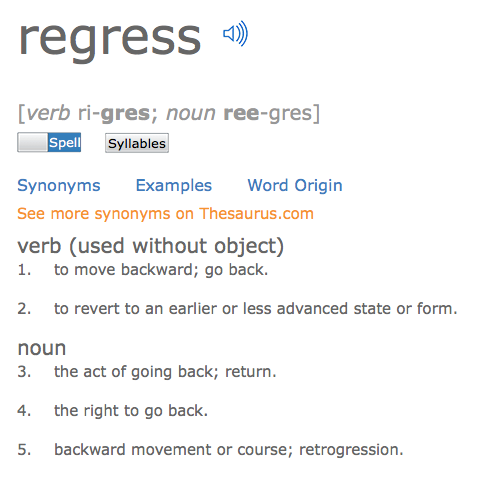 If you are "reversing your progress", you retrograde as mentionned by @WillieWheeler. EDIT after @Barmar comment: If you are "unproductive" (not counterproductive), i.e. stationary (not reversing), you stagnate. Definition : to stop developing, growing, progressing, or advancing. Considering your example "This is so... ", demoralizing may fit. Retrograde is a possibility here. Retrograde (adj). Directed or moving backward. Adjective form of "reverse of making progress." Although "frustrating" may be equally valid as a feeling. I am this way quite often ! The logical answer, in context of the question, "undoing progress" implies "Sabotage." The term for act(s) to halt, hinder or unwind the progress of another. Is there a word for a low-grade actor/writer/singer/etc who's gained a widespread attention and support?